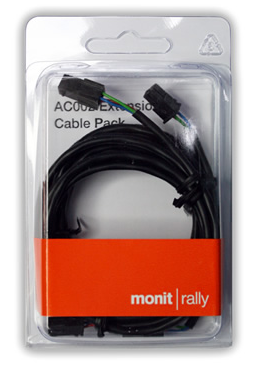 The wiring extension kit can be used to extend the distance between a Monit tripmeter and a wheel speed sensor. The kit includes two extension leads of one metre and two metre lengths. The shortest length should be selected for each installation to reduce the chance of interference.